Whether you are a new or returning student, an education plan is an important guide in completing your associate degree, diploma or certificate. In addition to your education plan, these resources can also help you stay on track. What is an Academic Agreement? An Academic Agreement is helpful for students who plan to transfer to a four-year institution. FTCC has agreements with various colleges, universities, and educational facilities that determine what credits will transfer. If a signed hard copy of an Articulation Agreement is needed, please contact the Loutricia Nelson at nelsonl@faytechcc.edu. If a signed hard copy of an agreement is needed, please send an email to the appropriate Dean. If a signed hard copy of an agreement is needed, please contact the Loutricia Nelson at nelsonl@faytechcc.edu. 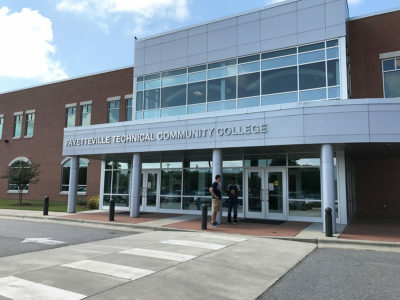 Awards and distinctions are given to students who achieve academic excellence at Fayetteville Technical Community College. The student must be enrolled in a degree or diploma program. The student must be registered for at least 12 credit hours of level 100 classes. Remedial classes (below level 100) are not considered. The student must have a 4.000 Term GPA at the end of the term. The student must be in a degree or diploma program. The student must have a 3.500 – 3.999 Term GPA at the end of term to be placed on the Deans’ List. Recognition of graduate honors is noted on a student’s degree or diploma and official college transcript. The President’s Award is presented at graduation to a deserving student selected by a faculty and staff committee. To be eligible for this award, a student must be enrolled on a full-time basis during the year of nomination and have a minimum GPA of 3.0. The student must exhibit and promote good student morale and demonstrate a genuine concern for FTCC and its role in the community. Fayetteville Technical Community College has authorized the National Student Clearinghouse to provide both enrollment verification and degree verification to qualified requestors. Current and past students may obtain these documents through National Student Clearinghouse website. Enrollment verification for current students is listed in WebAdvisor. 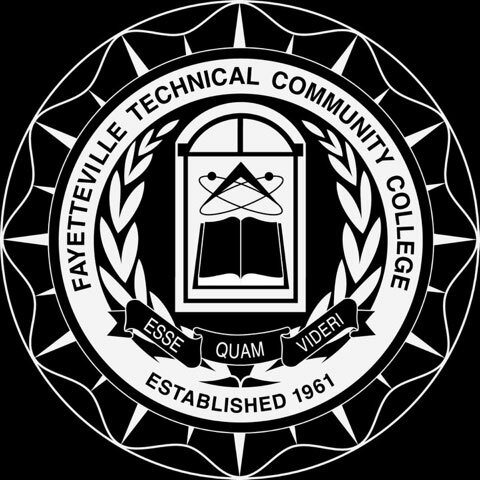 Enrollment verification for former students who attended Fayetteville Technical Community College after 1997. FTCC students have the right to consent to the release of their education records. iGrad is the money management tool students love & schools trust! 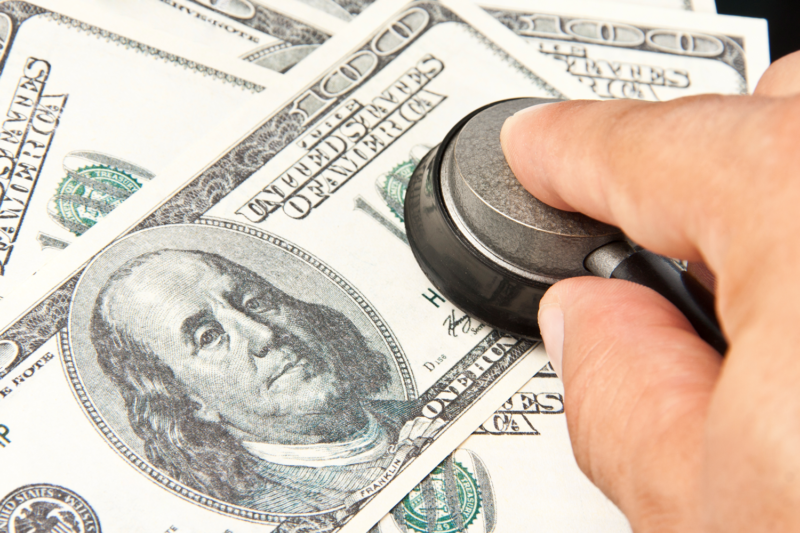 Would you like to learn about money management for all aspects of your life? The iGrad tool can help put you on the path to financial well being! FTCC has collaborated with iGrad to provide a free online money management program for students & alumni. When you sign up for iGrad you will build a customized profile & a plan to improve your money management, career, and student loan skills. There are quick start financial lessons, video tips, scholarship opportunities, etc! The Ellucian Go app helps you stay connected to Fayetteville Technical Community College like never before. You’ll have access to great features that make your campus experience more effective, more efficient, and more fun. Android devices running system version 4.0.3 or later. Amazon (Kindle Fire) running system version 6.3 or later. View your daily and weekly class schedule. View your current and past grades. Receive notifications if you have a hold on your account that prevent you from registering for new classes. 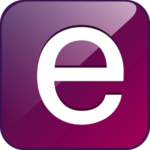 Download the Ellucian Go app from Google Play, Apple App Store or Amazon (Kindle Fire). Launch the app and select ‘Fayetteville Technical Community College’ from the list of schools. When you change your FTCC AD Single Login password, you will also need to log into the Ellucian Go app using your new password. What credentials do I use to login? You will need to use your FTCC Single Login (Computer/Network/WebAdvisor/Wifi Login). If you have forgotten your password, visit the self-service password reset page located at 1 Login to change and manage your FTCC password. Why am I unable to sign in? Make sure that you are using your Single Login username (not full email address) and password. You may need to reset your password if it has expired. Go to the Password Reset page. When you click on ‘Courses’ you will see a daily calendar. You must then click ‘Full Schedule’ in either the top or bottom of the screen. You will see your schedule for the current semester and have the ability to swipe to the right to see past schedules. Please check to make sure your device is listed in the supported devices. Forcing the app to close through the task manager on Android devices may result in difficulty launching the app again. If you encounter this error, go to ‘settings’ > ‘applications’ or ‘application manager’ > click on Ellucian Go > then force stop and clear cache. The Ellucian Go app should now launch again. The recommended closing procedure is to use the back or home button. When I Press the Home Menu Item (Upper Left), why do I only see a few options? Your device may not have the most current configuration. Choose the Switch School option, pick any other institution then switch back to FTCC. This will reload FTCC’s configuration to your device. When I choose the Grades option I only get the message “There are no grades for this term.”. But I know I have grades. No grades will not show up before mid-terms. This also is typically the result of a hold placed on your account by the College. Be sure to look in Notifications to resolve any outstanding holds. I know I am using the right username and password. Why do I get the message “Sign in Failed.”? Many mobile devices have predictive keyboard options. The keyboard may input a space after your username. Be sure no extra characters are being added to the Username entry. If you have problems using the Ellucian Go app, please contact the FTCC helpdesk help@faytechcc.edu. The college bookstore is located on the Fayetteville Campus. Program Evaluation, also called Degree Audit, is a powerful tool in WebAdvisor used for planning your courses. You can view your degree requirements, completed courses, and the courses you still need to take. You can even explore other programs and see how your completed coursework will apply to a different degree. Note: The degree audit is not your official academic record. Go to WebAdvisor to access your unofficial transcript, or Request an Official Transcript. Note: Only approved programs are listed. Program Evaluation is not available for the Associate in General Education or General Occupational Technology programs. Within Program Evaluation, select a program from the “What if I changed my program of study?” drop-down menu. If you wish to change your program of study, fill out a Program Change Request Form. If your program of study or records are incorrect, contact an Admissions Counselor via email or by phone at 910.678.9843. Each student is assigned an advisor based on his or her program of study. Your advisor will help you register for the classes you need to stay on track for graduation, and can offer counsel if you have any questions. If you have not been approved for a program of study, you are considered a Special Credit student and will not have an assigned advisor. Your advisor’s name and contact information will be listed on your profile. If you have not been assigned an advisor, contact the dean or department chair for your program for assistance. Does FTCC provide student email accounts? How do I access student email? How can my password be reset? Yes! Student email provides the official communication conduit between the College and students. This service provides a reliable, practical, secure, feature rich web mail environment with limited banner advertisements. The primary function of the Student Email System is to provide an official communication channel between FTCC and its students. College departments and instructors will use this account to communicate with you. Make sure you are following the college’s student email standards and proper e-mail etiquette at all times. NOTE: You must use your FTCC student email address for Blackboard course correspondence. All FTCC courses have a Blackboard component. Google has provided a demo of the Gmail system with clear instructions and explanations of all the included features. FTCC’s student email system is a college created Gmail account that is available from any place that you have access to the Internet and a web browser. The Gmail app is also available for mobile devices in the Google Play and Apple App Store. The format of the default password for student email accounts is 8 characters which is a Gmail standard. If you’ve submitted a password reset form, your password will be set to your 8 character date of birth. Example: March 15 1980 would be keyed as 03151980. You will have to fill out the reset password request form. When your password reset form is processed, your password will be reset to your date of birth on file in 8 digit format (MMDDYYYY). Currently there is no way to automate this process; it could take until 5pm the next business day as this will only be done between during the normal business hours of 8am – 5pm Monday – Friday. You will not receive notification that the password has been reset. In your mail account, click on Compose Mail. Click on Choose from contacts below the To: field to bring up your shared address book. In the pop-up window, you’ll see a list labeled Most Contacted, which contains your most frequently used contacts. To see a list of all your personal contacts, click on All Contacted. To send to people on these lists, simply click on all the contacts you want to send to to add them to the To: field below. Note: These lists are both propagated from your personal contacts. If your account is new, these lists may be empty. To send to a user at your domain who isn’t included in your personal contacts list, simply type the first few letters of their first name, last name, or username into the search box. You can also search for a nickname or email list. When your desired contact appears, click on the name to add that contact to the To: field. When you’ve added all the contacts you wish to send to, click Done to compose and send your message to the selected contacts. Once you’ve sent to a contact from your shared address book, they’ll be added to your contacts list. The next time you want to send them a message, their email address will auto-complete as you begin to type it. Web based access to email allows for easy access from any computer with internet access and a web browser. 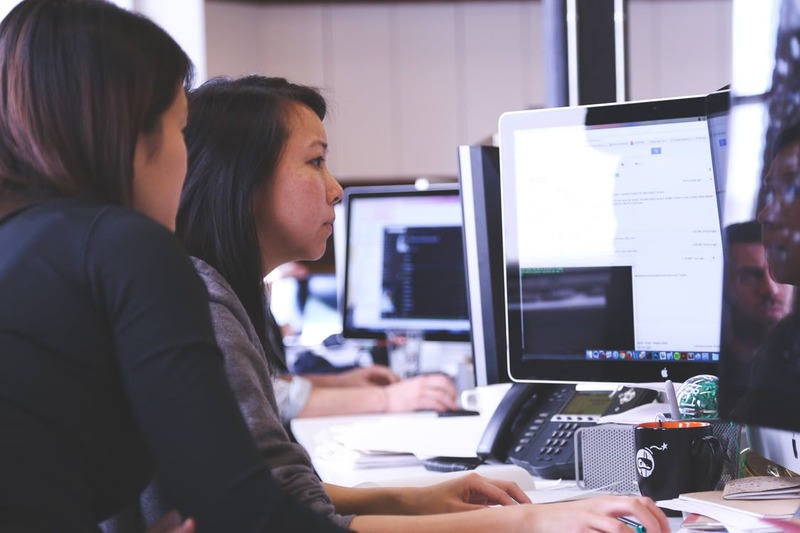 Integrated email features such as spell check, folder functionality and rule management, configurable email filters, incoming and outgoing virus scan, anti-spam mechanism, and faculty and staff address books. There are limited banners or advertisements. A full 6 Gigabits of storage allows you to store more messages and documents. Additional functionality available from Google’s line of services will be integrated in a phased approached. Some features may not be integrated into FTCC’s environment. Send an email to emailsupport@faytechcc.edu. We will answer your request as soon as possible. If you are enrolled in a program of study that requires uniforms, you can order online! Please realize, it may take up to eight (8) weeks to receive your order. Accessibility Note: The Castle Uniforms website is not ADA Compliant. If you have difficulty with the site, please contact the FTCC bookstore at bookstore@faytechcc.edu for ordering assistance. If you are paying for your order out of pocket, you can purchase your supplies directly at Castle Uniforms. You will be required to pay 50% of your total order up front. Note: The FTCC Bookstore stocks many of the supplies required such as blood pressure cuffs, pen lights, lanyards, watches, and stethoscopes. Safety glasses are priced comparably or less than local retailers. To begin your order, you must first go to Castle Uniforms to be fitted. Your order will then be emailed to the FTCC Bookstore. These documents are available in the bookstore, or can be requested at bookstore@faytechcc.edu. All customized items (anything with the FTCC logo or your name embroidered) must be paid by cash, check, or debit/credit. The remaining balance of your order can be charged to financial aid. Note: You can choose to charge your entire order to financial aid, but it cannot be placed until the first day of financial aid charging, which is approximately ten days before the start of classes. This means you will not receive your order before classes begin. You will receive a phone call from a bookstore staff member when your order is ready. Please provide correct and complete information when filling out forms. Accessibility Note: The Program Uniform list contain links to the Castle Uniforms website, which is not ADA Compliant. If you have difficulty, please contact the FTCC bookstore at bookstore@faytechcc.edu for ordering assistance. FTCC uses codes to designate course sections. Each course section includes up to four letters with a number to specify the session, location, type, and time for that section.